Plastik-Cure is Superior’s UV curable ink designed for nonporous substrates such as plastic and foil. The Plastik-Cure series has been formulated to achieve optimum printability, adhesion and scratch resistance on these printing surfaces. 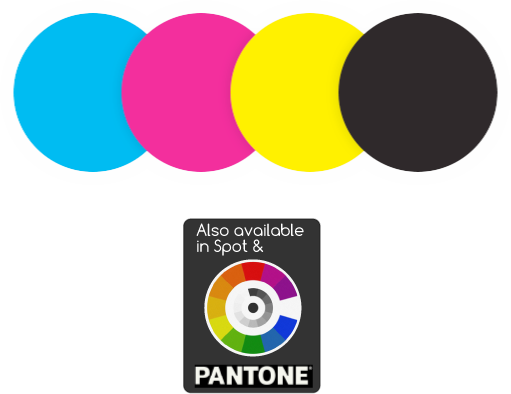 Plastik-Cure inks are designed for presses configured with a UV ink train. In addition to the Plastik-Cure process inks, Superior also offers high strength PANTONE® blending bases in both standard and coatable formulations and inks for Hexachrome process printing. Plastik-Cure G7 process inks have been formulated to conform to the ISO 2846-1 standard allowing the printer achieve a variety of today’s print conditions (ISO 12647-2, G7, GRACoL, etc.) in the pressroom. Because of the variety of plastics and foils in the market today, Superior strongly recommends testing the adhesion and scratch resistance of your specific substrate to determine compatibility. A minimum surface energy of 38 dynes/cm is recommended for optimum performance.